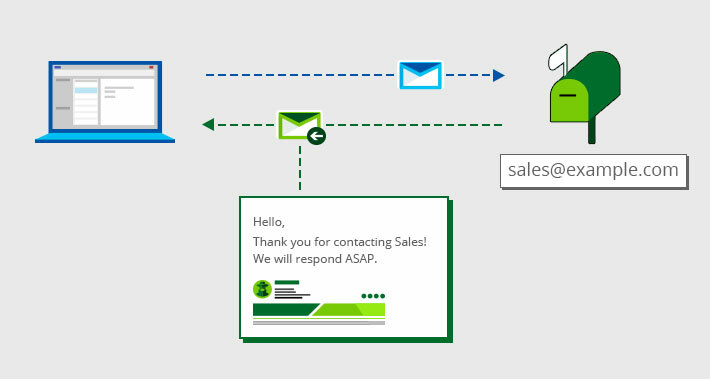 First, let’s get one thing out of the way – distribution groups cannot send automatic responses by themselves. 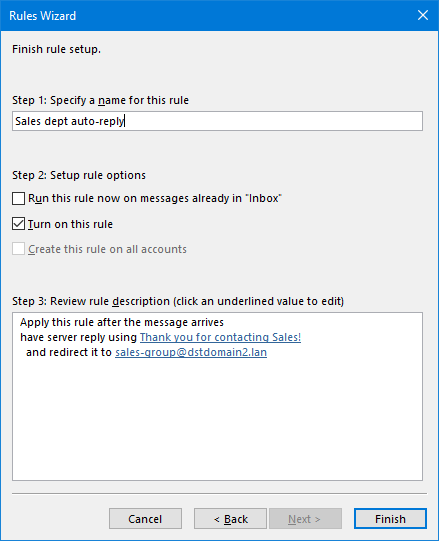 Using Reject the message with the explanation / enhanced status code transport rule actions to send auto-replies for a distribution group is not a good idea either. 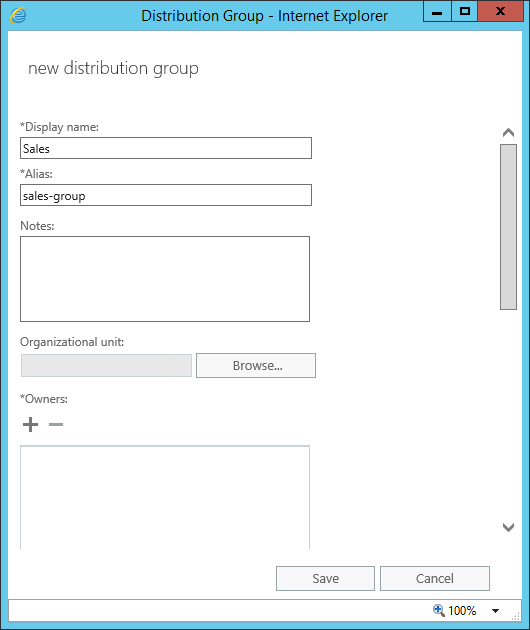 Firstly, because it defeats the whole purpose of maintaining a distribution group (the original message is blocked, thus not reaching the members of the group). 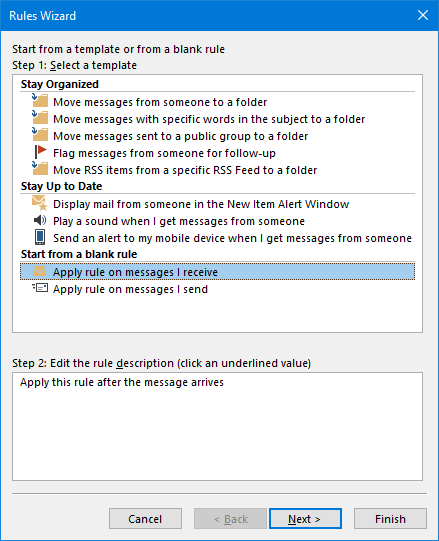 Secondly, because the automatic messages sent by the actions are very very bare-bones (as you can see here). 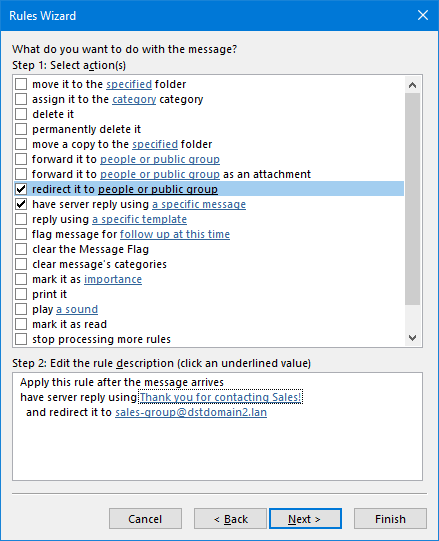 The most common solution to these grievances is a shared mailbox with a have server reply using a specific message rule underneath it. 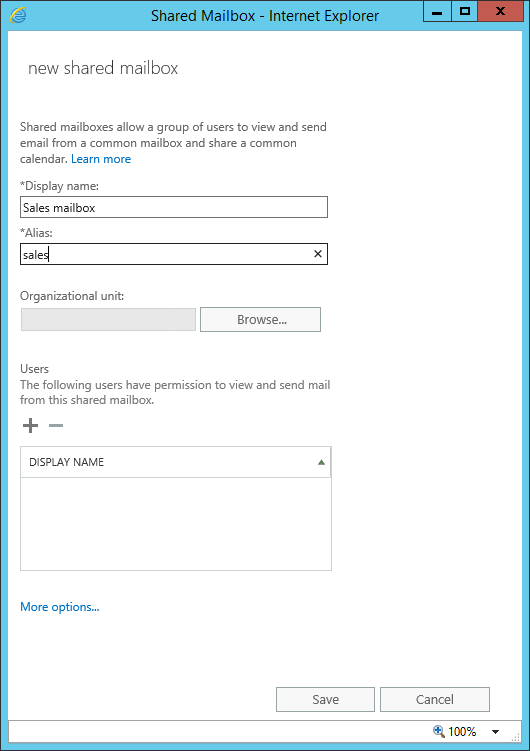 Note: There is another way, that does not involve creating a new shared mailbox. 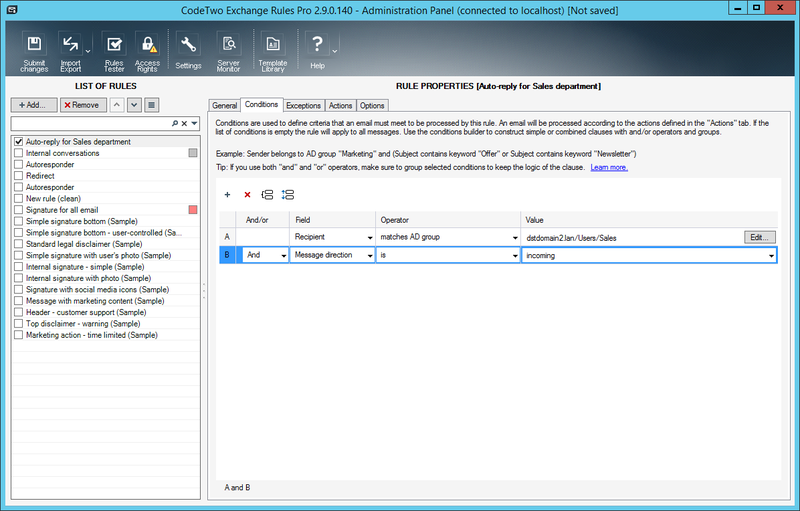 It requires using a 3rd party solution such as CodeTwo Exchange Rules Pro. I discuss it in this section of the article. 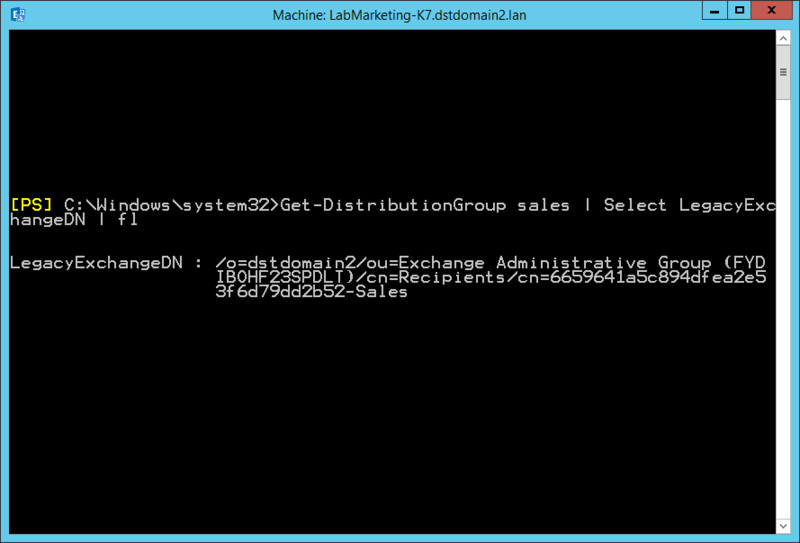 Get-DynamicDistributionGroup “<dynamic distribution group’s id>” | select name,includedrecipients,recipientfilter | Export-Csv "<target CSV file path>"
Delete the problem distribution group. 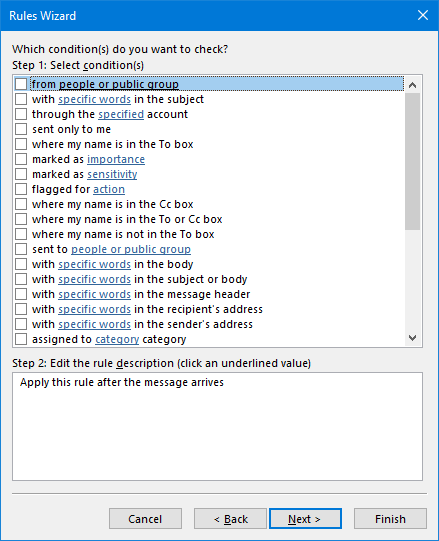 Create a new shared mailbox using the deleted distribution group’s SMTP address and grant yourself full access permissions to the mailbox. 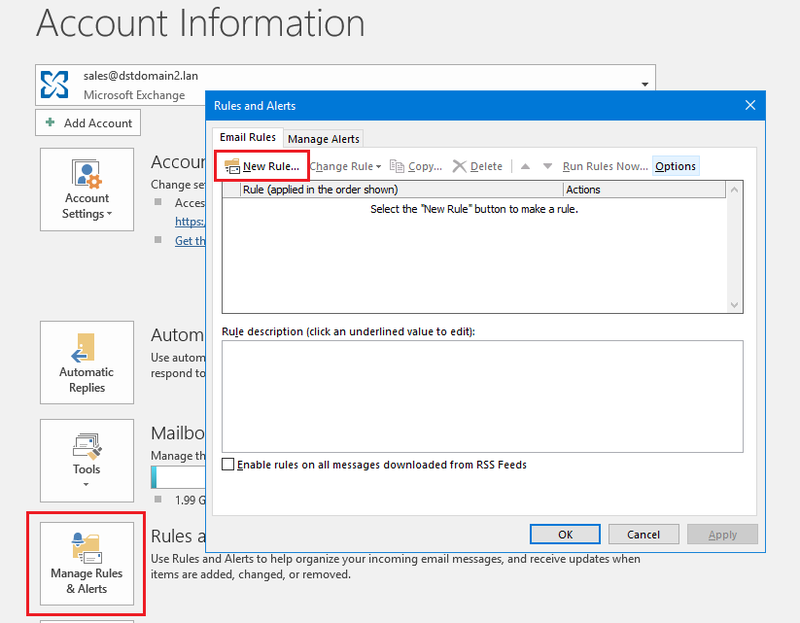 Update the shared mailbox’s LegacyExchangeDN with the saved distribution group’s LegacyExchangeDN (as I mentioned earlier, this is necessary because of Outlook and OWA routing).You can easily do this via ADUC, by editing the LegacyExchangeDN entry in Attribute Editor. 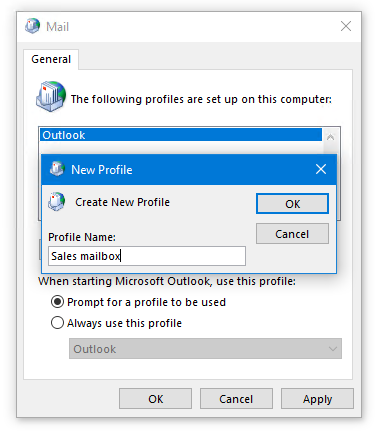 Create an Outlook profile for the shared mailbox.To do this go to Control Panel, Mail, Show Profiles…, choose the Prompt for a profile to be used, click Add…, provide a name for the new profile, click OK, and complete the account creation wizard (leaving the password boxes empty). 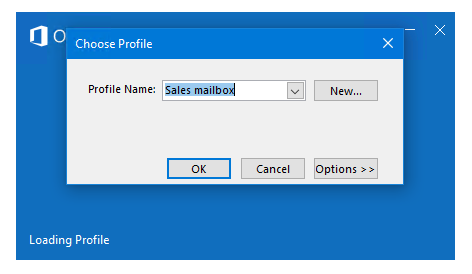 Run Outlook in the shared mailbox’s profile. 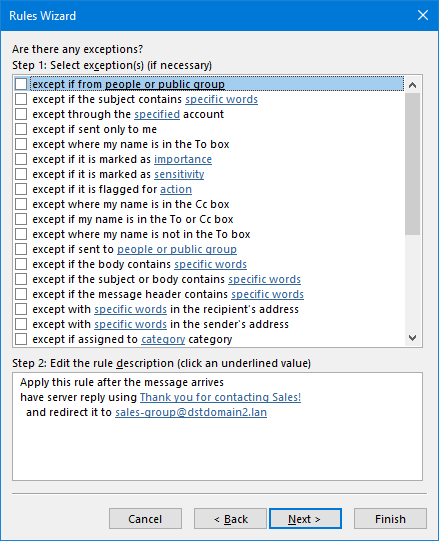 In the actions’ configuration step, select the below and click Next. 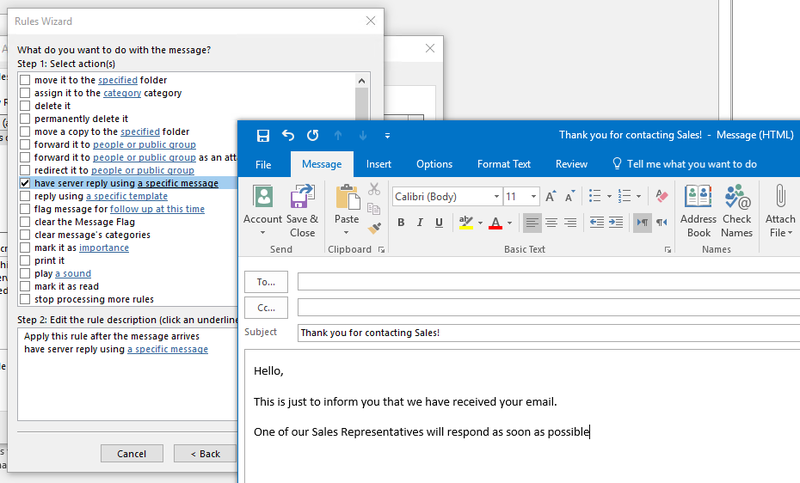 Have server reply using a specific message and create the message template that will be used as the auto-reply (the template can include attachments). 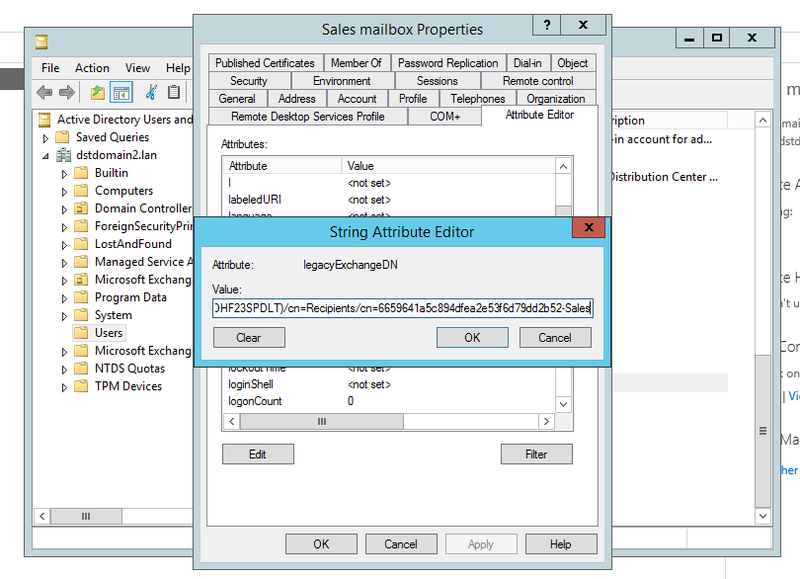 Configure exceptions or leave this step blank and click Next. Complete the last step and click Finish. 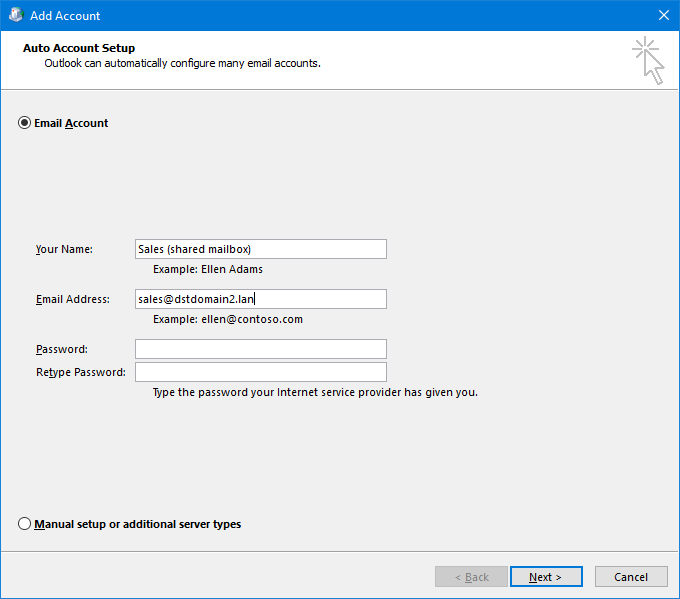 Test the setup by sending an email to the shared mailbox’s address. 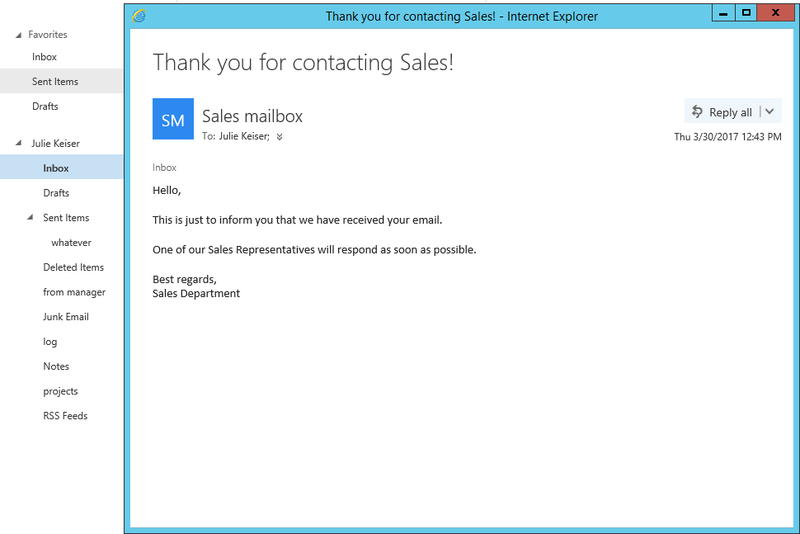 Configure an Auto respond action. 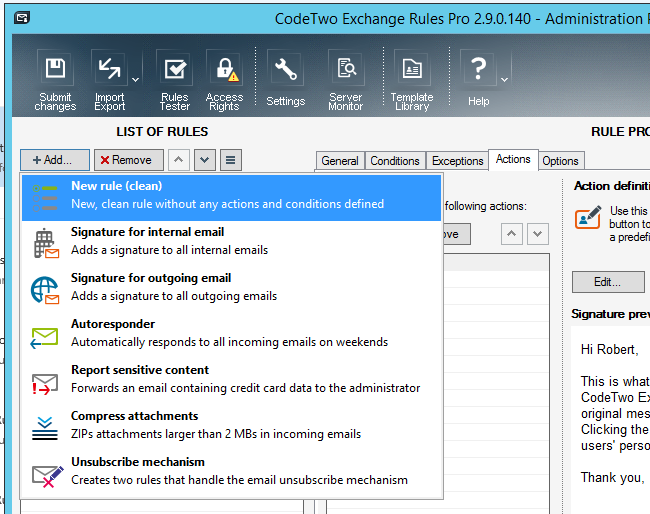 To download the free 30-day CodeTwo Exchange Rules Pro trial, go to this page.